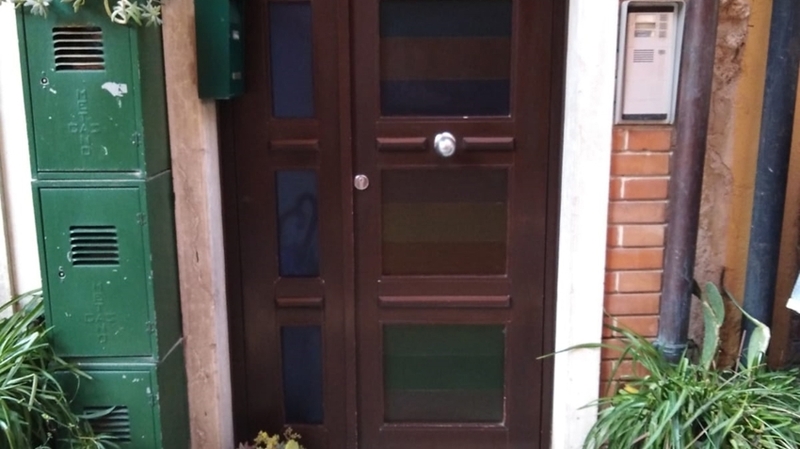 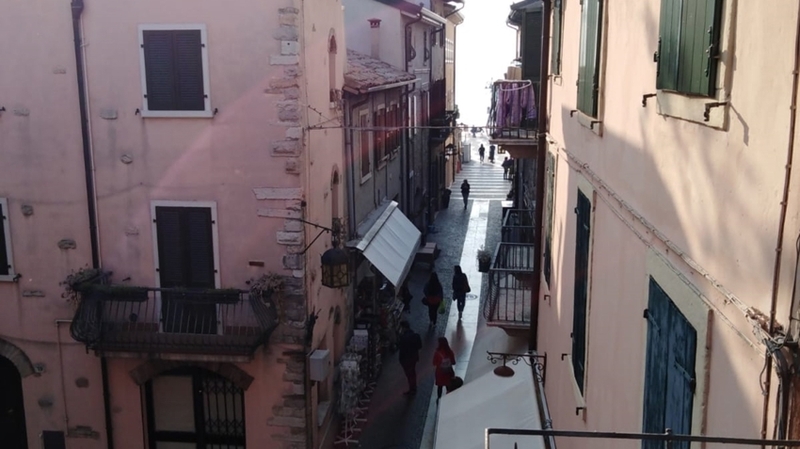 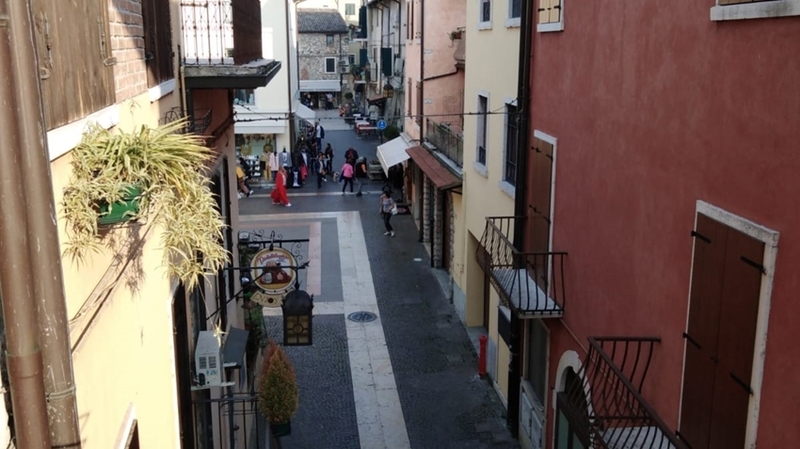 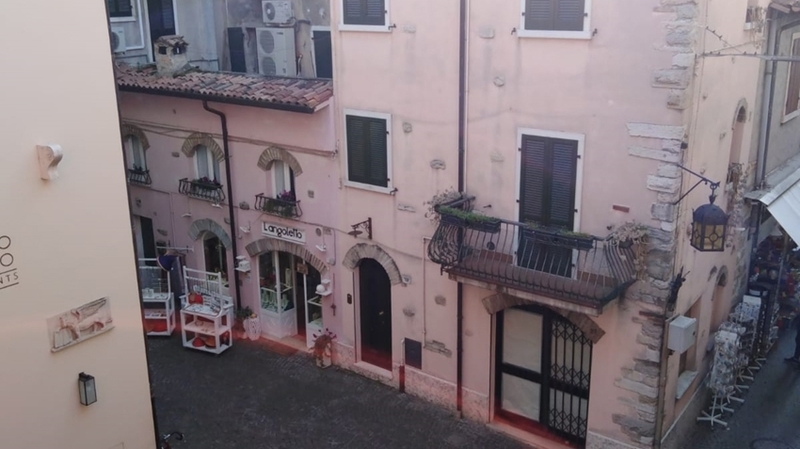 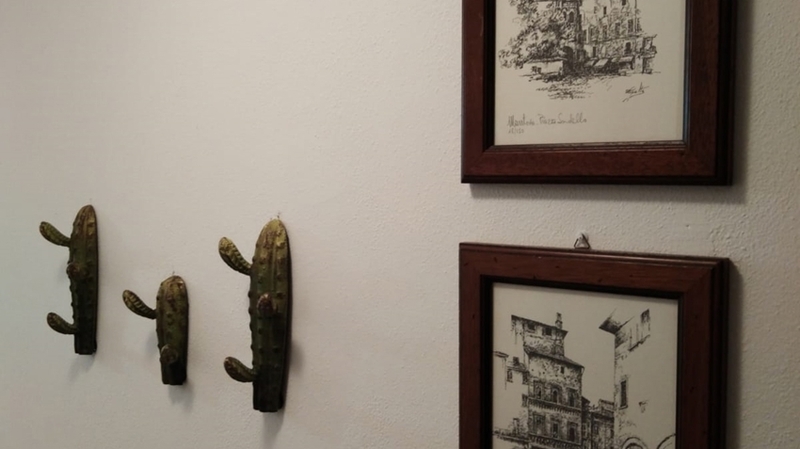 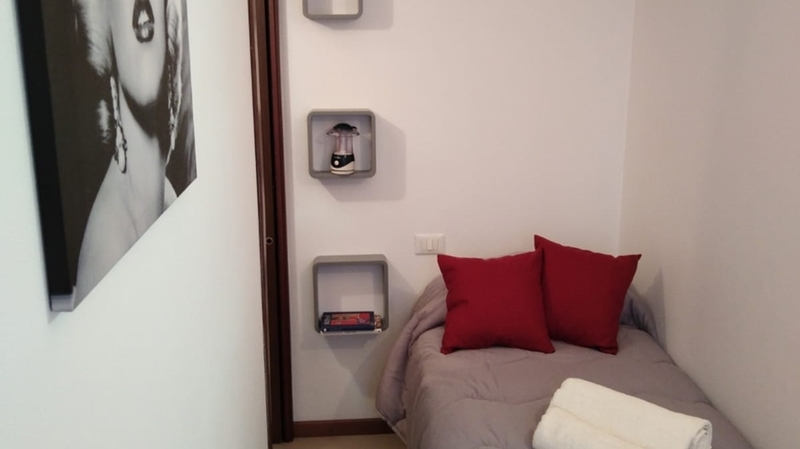 The apartment of Casa Agnese is located directly in the historical centre of Lazise and only 50 m from the old harbour, from the lake and from the main square. 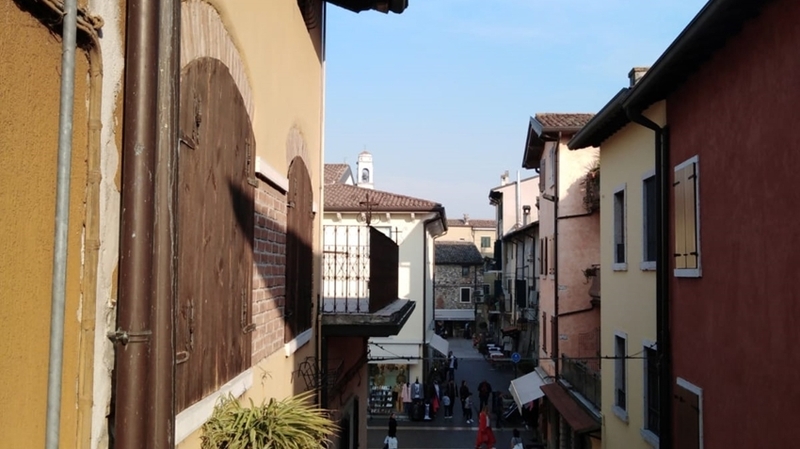 Along the enchanting streets surrounding the apartment, there are countless shops, bars and restaurants. 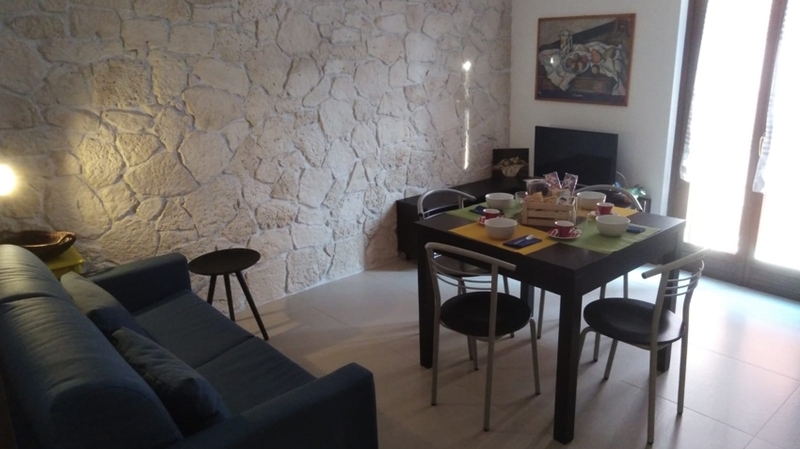 Thanks to the central position and the comfortable furnishings, the apartment is the perfect accommodation for families and an excellent starting point for excursions and boat trips at Lake Garda. 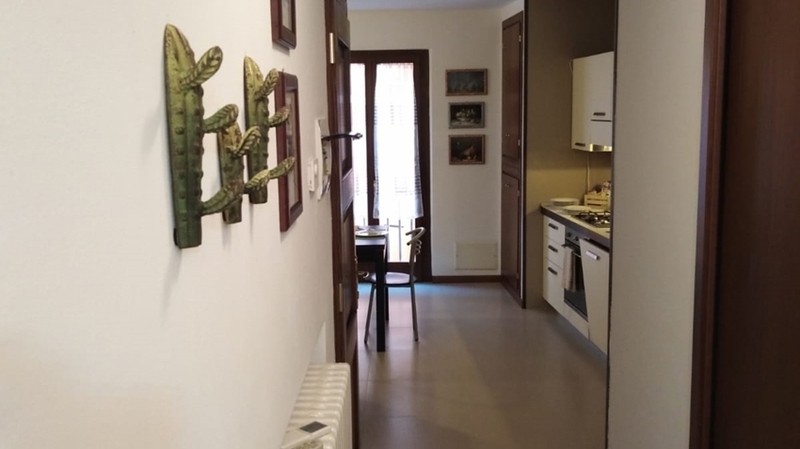 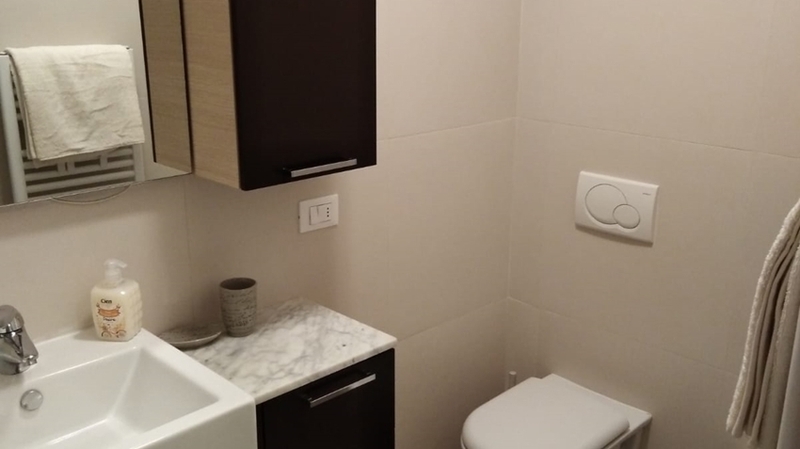 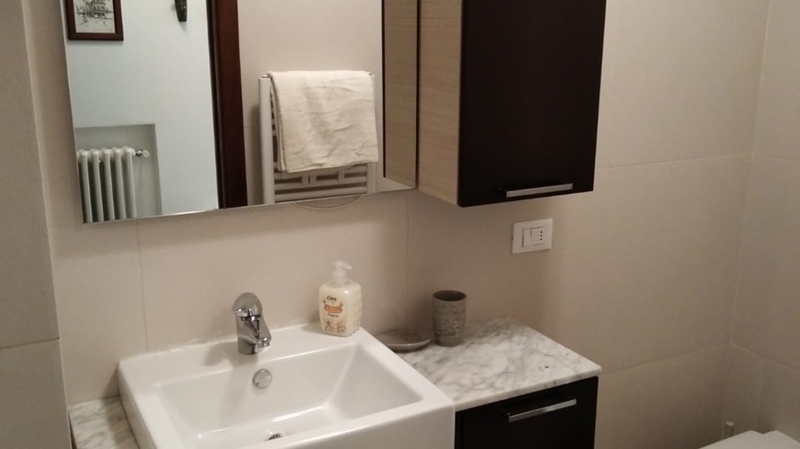 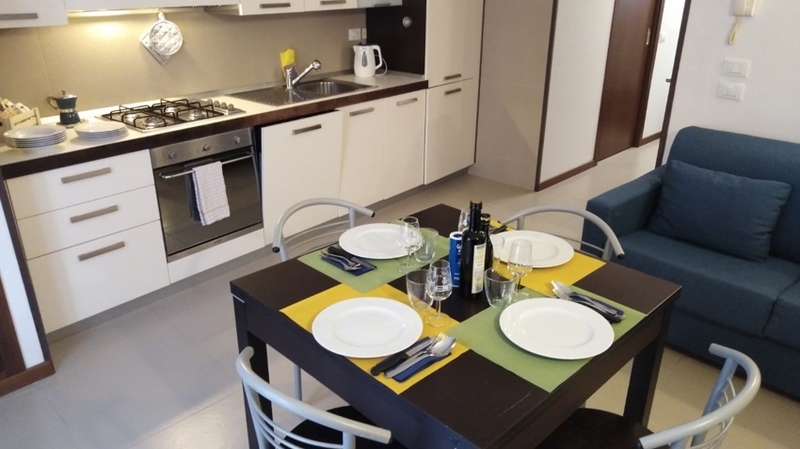 The 60 m² apartment of Casa Agnese in Lazise offers a double room, a single room, a bathroom, a small balcony and a comfortable living room with eating table, sofa, TV and fully equipped kitchenette. 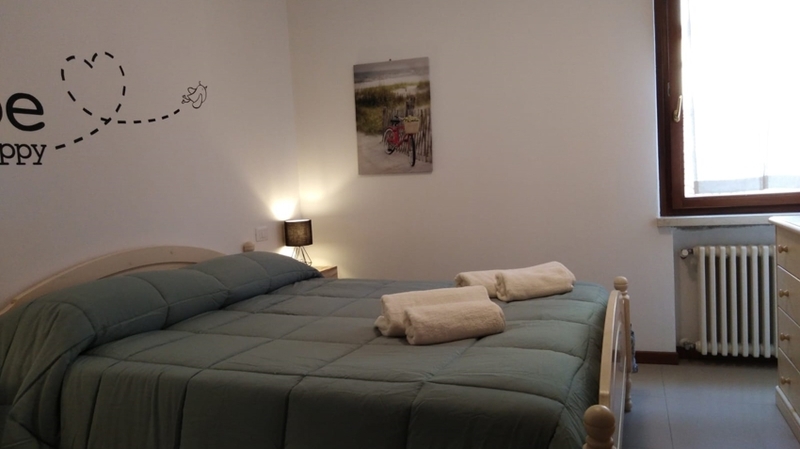 Tableware, a dishwasher, a washing machine, a safe, air conditioning as well as bed linen, bath towels and kitchen towels are available too. 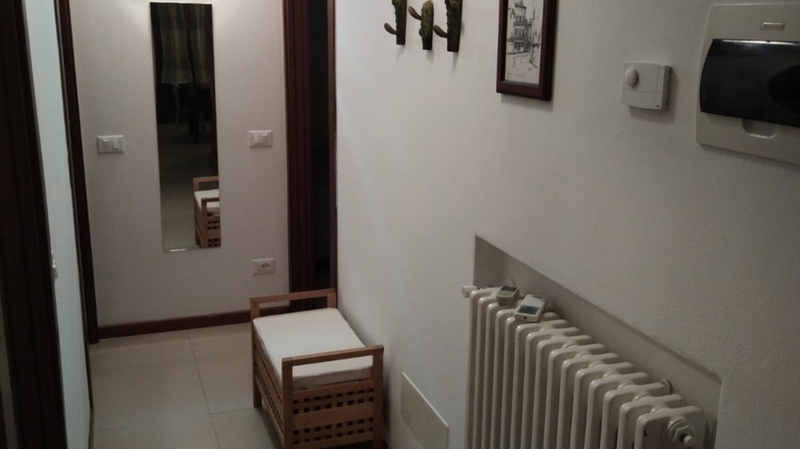 On request, we also offer a high chair and a baby bed. 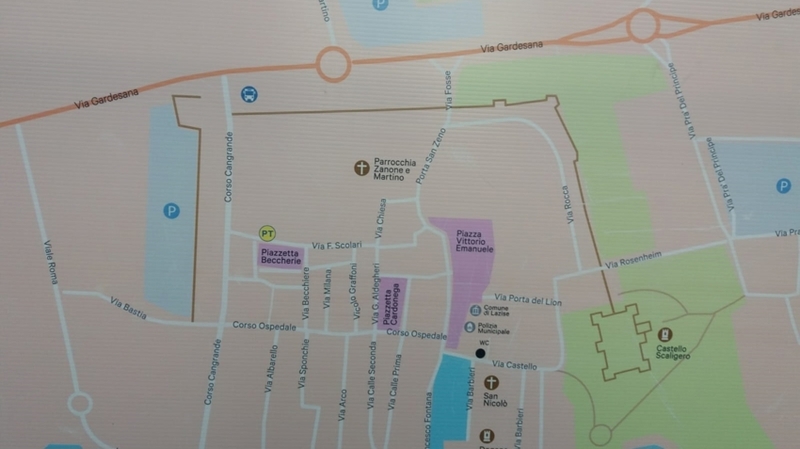 The parking can be used for 7 € per day. 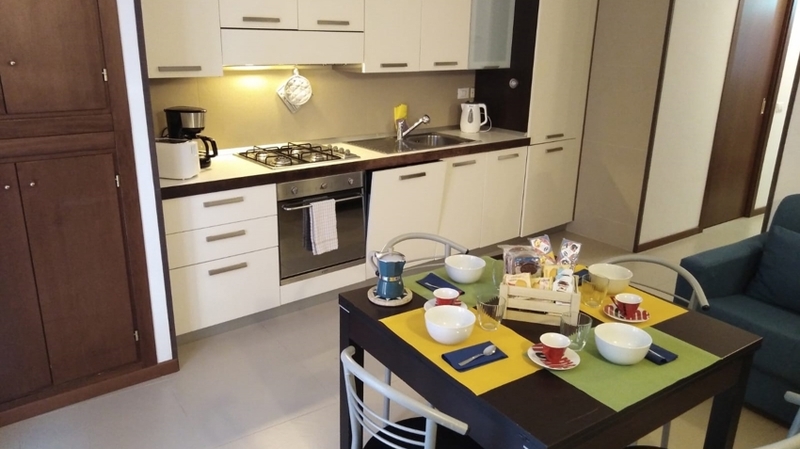 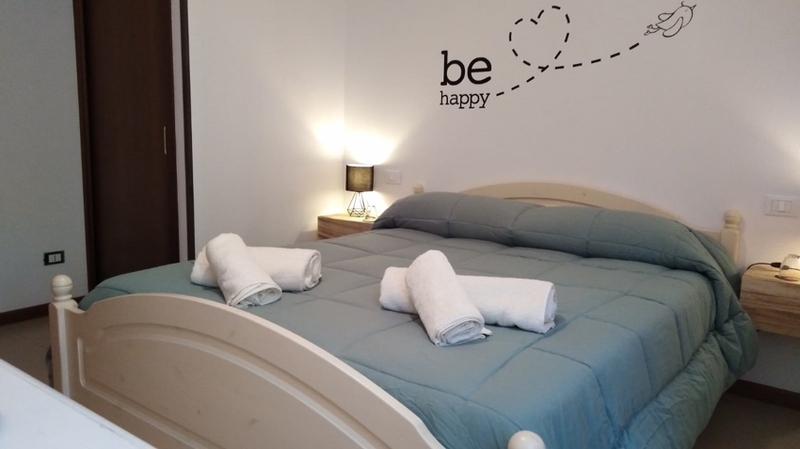 The apartment Casa Agnese is located only a few kilometres from the amusement parks Gardaland and Movieland. 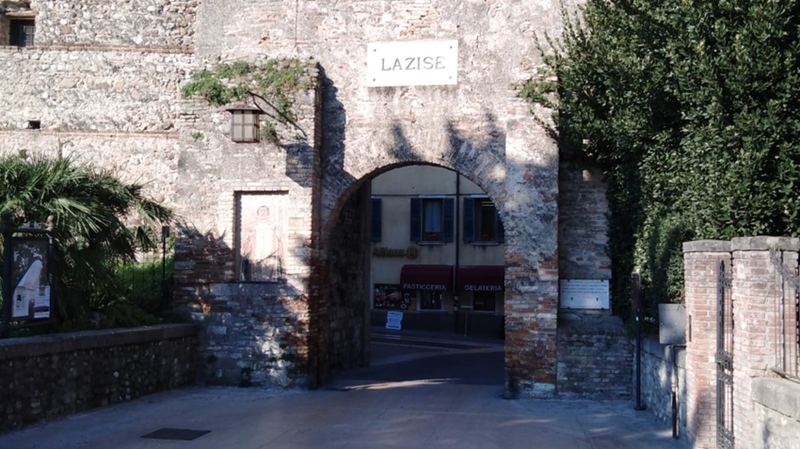 Relax in the nearby thermal baths of Colà di Lazise. 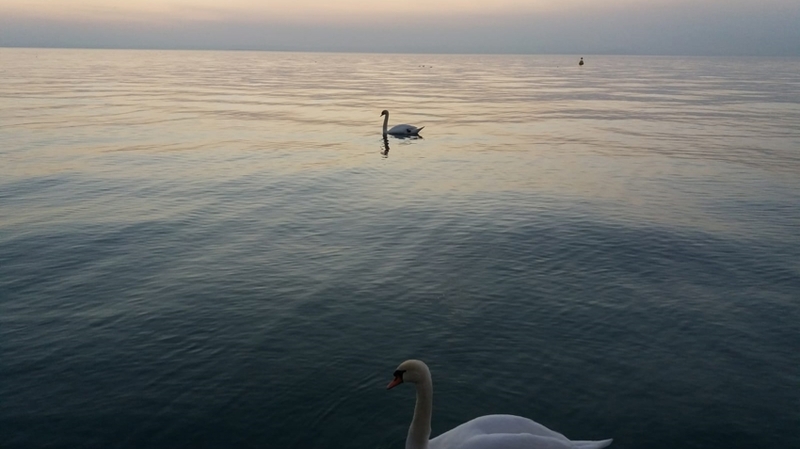 Only 50 m from the apartment, you can take a ferry to the most beautiful localities of Lake Garda. 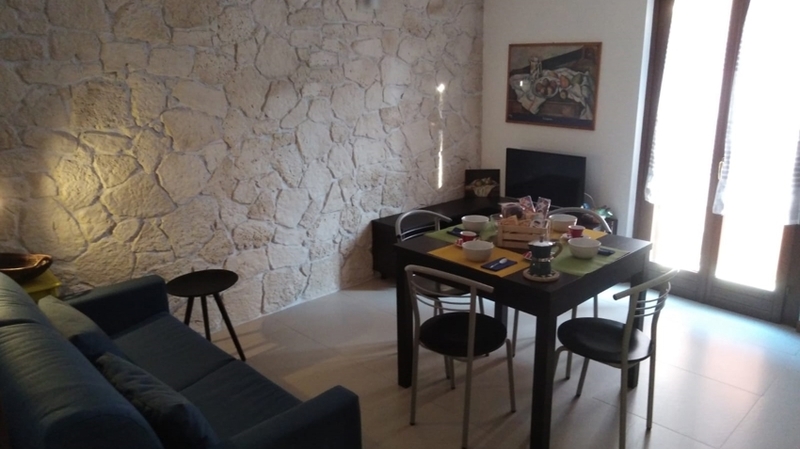 In the environs, you will also look forward to a varied offer of holiday activities, beautiful beaches and walking, hiking and cycle paths.